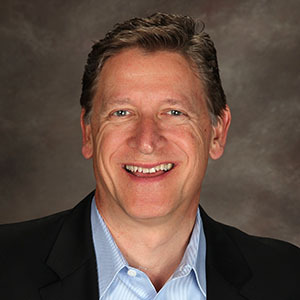 Budd Brumbaugh, Director of Business Development, joined Metrostudy in July, 2010. Prior to working with Metrostudy, Budd invested 28 years of his career in the title insurance industry, where he most recently held the position of Senior Vice President, Western Region Manager of Homebuilder Services for Old Republic Title Company, where he managed homebuilder operations covering 5 Western States. He has extensive knowledge of the land entitlement process and has worked closely on several Master Planned Communities in Northern California. Budd has served on the Subdivision Advisory Committee to the California Department of Real Estate and has been an active member of the North State Building Industry Association, previously serving as Associates Council President, Board Director, and was selected as Associate of the Year. Budd’s role at Metrostudy is to help grow the information business in Northern California, the Pacific Northwest and Mountain states with their financial institution, homebuilder, investment and developer clients. Since joining Metrostudy, he has strengthened the Metrostudy brand awareness and expanded relationships with our clients in these markets. Budd is self-motivated, energetic, personable, goal oriented and dedicated to professionalism. He is known for his consistent ability to exceed our customer’s expectations and had built many long term friendships with our clients. Budd is a native of Northern California, and attended Sierra College. He lives in Granite Bay with his wife Hilary. Between the two of them, they have 4 girls. In his free time, he enjoys bike riding, kayaking, golf, travel and working in the garden.